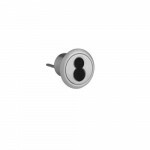 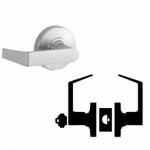 Schlage B571 Door bolt occupancy indicator- Deadbolt thrown or retracted by thumbturn inside. 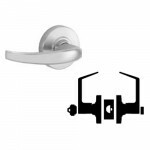 Occupa..
Schlage AL 10 Passage Latch - Both levers always unlocked. 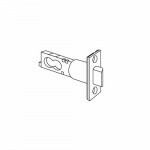 Dependable performance for high traff.. 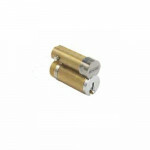 The Schlage 35-101 are Classic 6-pin Key Blanks. 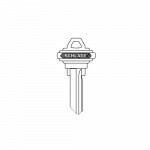 C, CE, E, EF, F, FG, G, H, J, L Keyways Ord.. 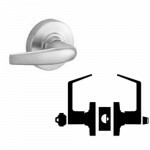 The Schlage 20-079 is a conventional (standard) Full Size Interchangeable Core Rim Cylinder Housing ..
Office and Inner Entry Schlage Mortise Lock- Latchbolt retracted by lever from either side unless ou.. 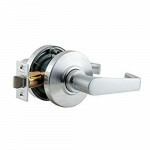 The Schlage 23-030 is a conventional (standard) Full Size Interchangeable Core Only for Schlage Lock.. 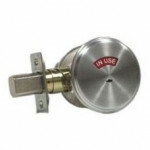 The Schlage 20-022 is a conventional (standard) Rim Cylinder for use with exit devices. 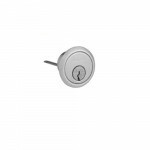 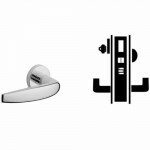 Cylinder..
ND40S Schlage Bath/Bedroom Privacy lock- Push-button locking. Can be opened from outside with small ..
ND50RD Sparta Schlage Full Size IC Core Entrance/Office Lever Grade 1 - ANSI F82 - push-button locki..
ND50RD Rhodes Schlage Full Size IC Core Entrance/Office Lever Grade 1 - ANSI F82 - push-button locki..
ND53PD Athens Schlage entrance lock- turn/push-button locking. 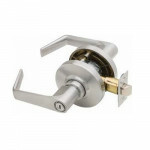 Pushing and turning the button locks ..
ND53PD Rhodes Schlage entrance lock- turn/push-button locking. 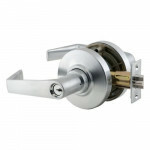 Pushing and turning the button locks ..
ND80BD Rhodes SFIC (Less Core) Schlage Cylindrical Storeroom Lever Lock - ANSI F86 - Outside lever i..
Schlage AL53Entrance Lock- Turn/push-button locking; pushing and turning button locks outside lever,..
Schlage Entrance Mortise Lock- Latchbolt retracted by lever from either side unless outside is locke..
SchlageStoreroom Lock- Latchbolt retracted by key outside or by lever inside. 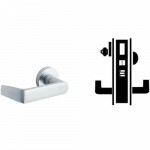 Outside knob/lever is ..
Schlage Classroom Mortise Lock- Latchbolt retracted by lever from either side unless outside is lock.. 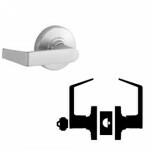 The Schlage 16-200 is an F Series 2-3/8” or 2-3/4” Backset Springlatch Latchbolt with standard facep..
ND70PD Rhodes Schlage Cylindrical Classroom Lever Lock - ANSI F84 - Outside lever locked and unlocke..